Remove as much excess wax with a wax scraper as possible. 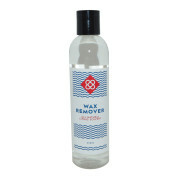 Apply BCN WAX surf remover and let 30 seconds. Apply small amount on a clean rag and remover with circular motions until clean and dry. 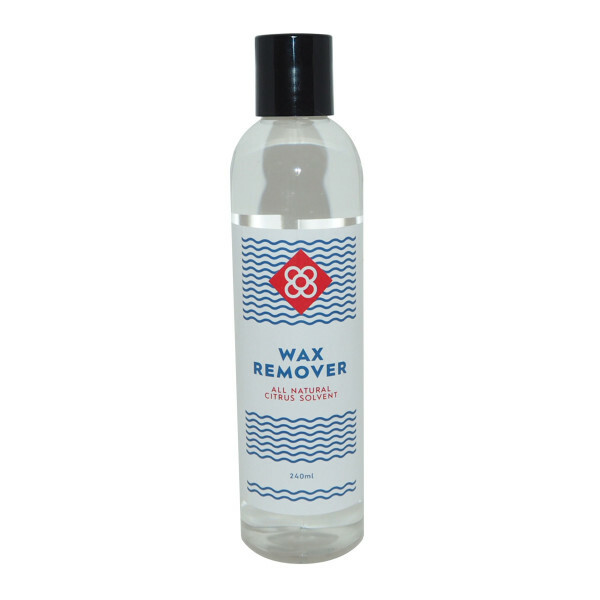 This product also removes tar, adhesive and serves as a surface cleaner for ding repairs.